Over the past few years, Daniel Lopatin, better known as Oneohtrix Point Never, has become perhaps the world’s most prominent purveyor of seasick brain-sloshing keyboard drones, and when Trent Reznor wants a remix that sounds like that, Lopatin is the guy he calls. But if the stage was set for Lopatin to cross over with an accessible record, that’s not what he’s done with R Plus Seven, his new album. 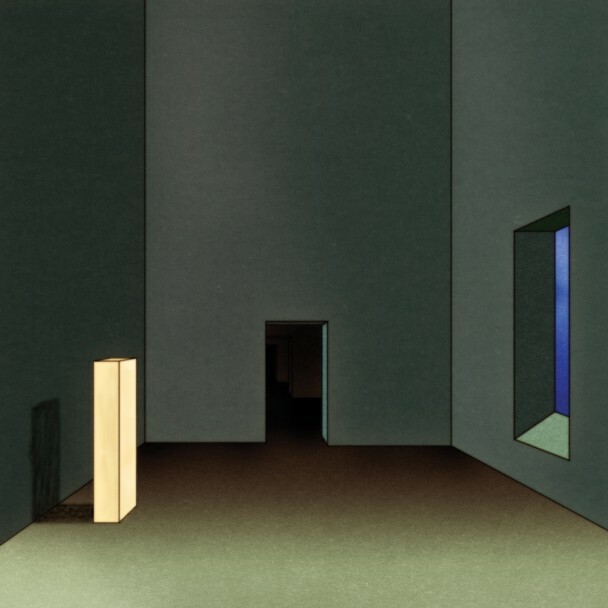 Instead, this album is just as queasy and insular as Replica, Oneohtrix’s 2011 album. We’ve heard the album tracks “Zebra” and “Problem Areas,” as well as an excerpt of “Still Life,” and now you can zone out on the entire album. It’s streaming at NPR. R Plus Seven is out 10/1 on Warp.